I don’t know about y’all, but I’ve hit my E3 wall and I’m burnt out; it’s unfortunate because I’m certain Nintendo deserves my energy. Smash Bros. is a given, but I think everyone is just waiting for a new Animal Crossing. I’ve heard absolutely nothing else from Nintendo fans for months now, and if it doesn’t happen some people will be incredibly unhappy. Personally, I still can’t afford a Switch so waiting another year would be okay. Regardless, some major firstly party titles are on the way! All of the following titles are for the Nintendo Switch. If you’re interested, you can watch the entire Nintendo Direct here https://youtu.be/akohTFyGu88. This is a new title about mech fighters. We see different sorts battling giant robots (I think?) in various locations, such as deserts or desolate cities. It’s robot fighting time! Wait, no, that’s Battlebots. Get all the mech action you want in Daemon X Machina, coming in 2019. I love the opening graphics, they look as though they’re done by hand. The game’s graphics are not even similar, but that’s okay. The game does look nice. The usual someone is trying to save the world from evil, and it requires friends and at least one giant sword. Looks like a classic RPG. Ah, it’s DLC! Torna - The Golden Country is DLC for Xenoblades Chronicles 2, coming September 14. Pokemon is coming — although it’s just Let’s Play. And the Pokeball Plus, which can fully replace the Joy-Con controller. Mew comes exclusively with every Pokeball Plus. The game and accessory will be released on November 16. It must be time for a party! A Mario Party! A Super Mario Party! It’s shiny! You can combines Switch screens, which looks super cool. Or you split into teams for battle. Super Mario Party will be released on October 5. There are no words, there is only the video. Fire Emblem: Three Houses will be released in (Northern) Spring 2019. Fortnite, play together, play anywhere, play your way. Play for free and play right now. It’s still just Fortnite though. Overcooked 2! I love that this acclaimed title got a sequel. New features, new kitchens, and you can play with wireless multiplayer. Overcooked 2 doesn’t require too much time to rest: it’s available this August. Redesigned from the ground up from the arcade extravaganza. For the first time on console, two teams of four can square off. Hollow Knight, an action adventure platformer in a haunted location. All previous DLC is included, and it is available on eshop today. We get a brief Octopath Traveler update, as beginning on June 14 a demo will be available. The title is a Switch-exclusive and will be released July 13. Time to share information on a “certain title” — Super Smash Bros. The director is on screen. A fighter roster video is shown. The game features every character ever in a Smash Bros. game. We see Mario, Link, Fox, Zelda, Villager, Sonic, Peach, Ice Climbers, Wii Fit Trainer, Doctor Mario, and more. But not Waluigi, boo. Although Yoshi puts Luigi into an egg so maybe? I know, I’m grasping at straws. For Super Smash Bros. Ultimate, everyone is here! It’s the biggest crossover in video game history. Your starting roster will be small, and you will be consistently recruiting new characters to keep the game fresh. Oh, and eight-player battle makes a return! There are a few changes to characters and moves, here are only some. Mario is still easy to use but he can now wear his Wedding and Builder outfits. The Ice Climbers, a two-on-one fighter, haven’t been seen for some time. Pikachu Libre is a girl! She’s got the heart-shaped tail. Adorable. Final smashes are now quicker so you can get back to more fighting faster. Charge moves can be built up mid-air. Snake hasn’t been in the series for 10 years and he’s been a fan request for that entire time, so I expect some very happy players! There are eight different Villagers from Animal Crossing, four male and four female. Inkling becomes a new addition to the roster with this edition of SSB. Echo Fighters are based on other fighters in the game. For example, Daisy! She’s Peach’s Echo Fighter. They fight in s similar manner but have different characteristics.This roster video is going on for an extreme amount of time, so I definitely haven’t covered everything. You’ll definitely want to watch the full thing! And now it’s time for stages. Princess Peach’s Castle, Spirit Train, Frigate Orpheon, Green Hill Zone, New Pork City, Wrecking Crew, Tortimer Island, Moray Towers, Great Plateau Tower. All stages have Battle and Omega forms, as well. New techniques! Ladder attacks, directional air dodge, short hop attack can be done at any time, and A+B= smash attack, and more. GameCube controllers are now compatible, and all Super Smash Bros Amiibo figures, even if it’s from a different series. Before we go... one more announcement. And it is — drumroll! — Ridley! What on earth is a Ridley? It appears to be a dinosaur? It must be Metroid related. Super Smash Bros. Ultimate is available on December 7. I assume there are riots happening over no new Animal Crossing, but I take that to mean it will be announced and playable in 2019. More time to save up for a Switch! 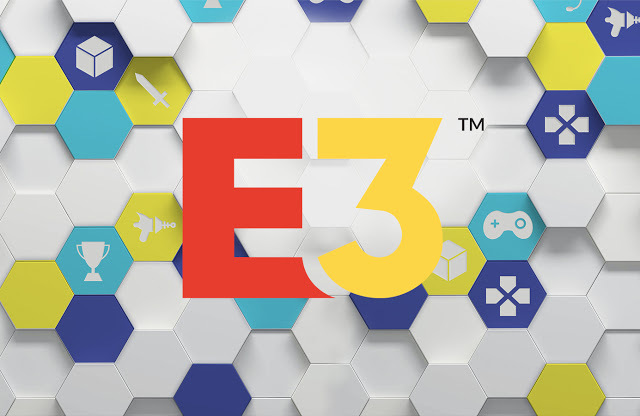 This is our last E3 recap, but we will continue our coverage for the rest of the week!